The Cathedral Grammar School building will be used for adult and religious education classes after the school closes. When word came that Cathedral Grammar School in the South End would close at the end of the academic year, many children were devastated. Parents, while upset, are determined to continue their children’s Catholic education. The Rev. Kevin O’Leary, rector at Cathedral of the Holy Cross, sent a letter to parents last week telling them that the century-old school that educates students from prekindergarten through sixth grade must shutter its doors because of declining enrollment caused by shifting demographics. By Friday, many parents, some traveling from as far away as Weymouth, already had ideas about where their children will attend school next fall. Attending Cathedral Grammar School is a tradition for Pronissa Gaines’s family. Gaines’s two older children — one in college, the other a high school senior — graduated from the school, which her youngest attends. Cathedral Grammar, like many Catholic schools across the country, finds itself in the increasingly common, albeit painful, position of consolidating with other campuses as a way to provide a thriving learning environment, specialists said. Archdioceses throughout the Northeast and Midwest are contending with population shifts, and merging schools helps ensure that buildings are filled with engaged students and vibrant faculty members, said Patricia Weitzel-O’Neill, executive director of the Roche Center for Catholic Education at Boston College’s Lynch School of Education. As a consequence, schools built to educate children born to European immigrants at the turn of the 20th century and, later, baby boomers now sit fallow. 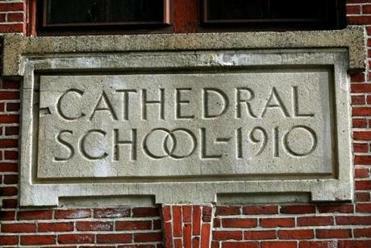 According to the cornerstone of the brick building on Harrison Avenue directly behind Cathedral of the Holy Cross, the grammar school was built in 1910. The parish will now use it for adult and religious education classes. There are 130 students enrolled at Cathedral Grammar this year, 40 percent less than a decade ago, said Terrence Donilon, spokesman for the Boston archdiocese. 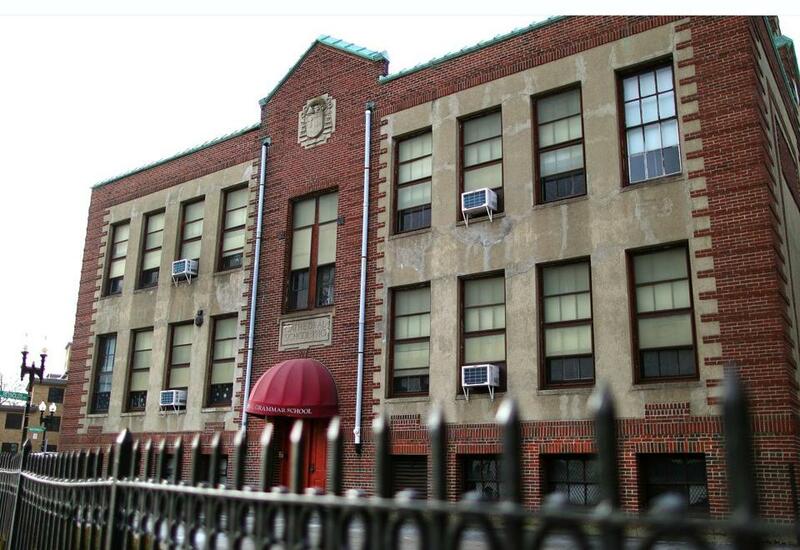 As a result, the school will be consolidatedwith Mission Grammar School at Roxbury Crossing, Pope John Paul II Catholic Academy, and St. Patrick Elementary in Roxbury. The 90 students who attend Cathedral with financial support from the Catholic Schools Foundation will continue to receive their scholarships if they choose to enroll in another Catholic school. For the school’s 16 faculty members, reality now includes the possibility of unemployment. Teachers, if they want to stay with the archdiocese, must apply for jobs at other Catholic schools. Fol­low her on Twitter @akjohnson1922.